So you have heard that we have a low inventory of homes for sale in Nashville. For many sellers this is great news, but you may have mixed feelings about the market. Just as soon as it recovers and you feel better about selling, there is nothing left to buy. This makes it incredibly hard to move up in home right now. This mindset is keeping many people on the fence, which only makes the problem worse. Unless you are going to buy a new home, someone else has to sell in order for you to buy. It is a circular problem that is not easy to fix. When I say local, I mean hyper-local! 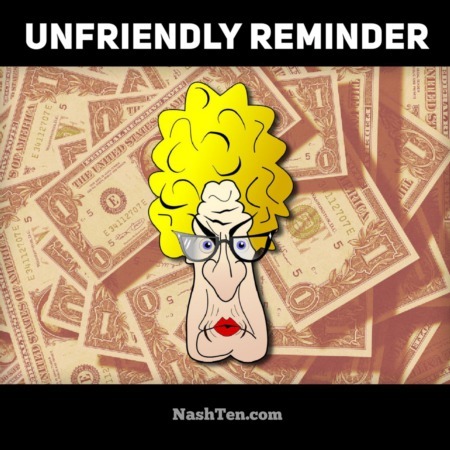 What is generally true in Nashville, might not be true for your community, your neighborhood or your building. In real estate, we generally define a market with less than three months of sales in inventory as a seller’s market. Between three and six months sales in inventory is considered a balanced market. More than six months of inventory is considered a buyer’s market. 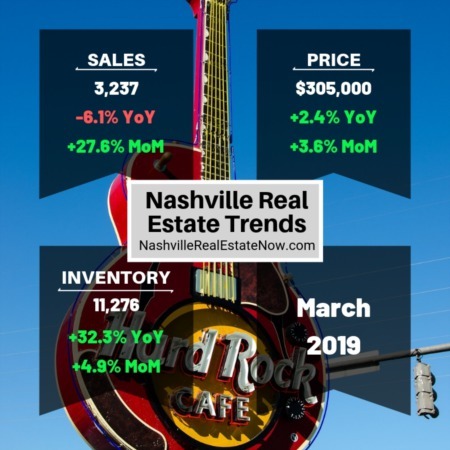 To give you an idea of the differences in the local market, here are the current months of inventory for different price ranges in the Metro Nashville area. 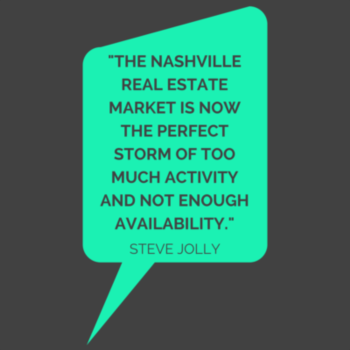 This means that it would take 2.37 months at the current sales rate to sell all of the homes currently listed for sale in Nashville between $100,000 and $300,000. With the continuous changes in inventory, our market is constantly moving. It might seem that it is too difficult for you to follow, but it is OK. We can analyze the current situation for your area and provide you with a specific plan to meet your needs. One of the most common problems we find is that your current home will sell much more quickly than it will take you to find your next home. For example, you are selling your $300,000 home in Nashville and would like to purchase a $450,000 home in Williamson County. This makes it difficult because homes are selling quickly in both markets. We have a proven strategy that works for this situation while minimizing the inconveniences of a quick move between two homes. This strategy takes some additional work and does not follow the typical patterns, but makes all the difference in the end for our clients. Our goal is not to put you into some “cookie cutter home selling system,” but to provide you with a custom plan that meets your specific needs. A plan that will help you move into your next home, as soon as you sell your current home while keeping the inconveniences to a minimum. A plan that avoids most of the hassles of the low inventory market. If you want to take a few minutes to discuss strategy or a custom plan for your next move, then give Steve a call today at 615-519-0983.